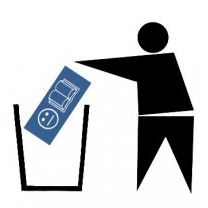 How to permanently delete your facebook account: Part B. The second screen to meet you, after completing the step above, is this. Now, you need to do the following two things to proceed. 1. In the box marked “Password:” type in the password that you normally use to log in to Facebook. If you have forgotten your password you need to request a new one first in order to log in to Facebook, and then request deletion. See instructions for how to request a new password. 2. In the box marked “Text in the box”: type the distorted letters you see in the picture. In my case it is: 4mC8. Of course, you will have other letters/numbers. If you have trouble deciphering the picture, just click “try another picture” or “an audio captha”. Don’t forget to turn your speakers on in the second case! 3. Click the button marked “Okay”. Proceed to next step, Part C.
How do you do it on the iPhone? I get. Your account is now deactivated but when I type my email and pass it logs me in. Can you do it on the iPhone 4s? when you deactivate, dnt login till 14 days and your account will be deleted. ^^that's exsactly what happened to me. i wish it was so simple! I have entered a dozen text captchas and about 8 audio captchas to no avail. Every time, it tells me I entered it wrong. I've never gotten a captcha wrong in the past couple years and know I am entering it correctly. There is no way I'd be wrong, especially this many times in a row. I have a feeling they are doing this to prevent account deletion by having the system tell me that I've entered the wrong captcha over and over again to discourage me. just clear your cookies and try again.. The same thing is happening to me. To delete my account they ant me to jump through hoops. More and more I despise facebook!!!!! I wish I could sue the bastards! Is there a class action suit already in the works? I'm trying to delete my account where is the "delete account button? delite my face book account i dont need it. I just thought it was too much personal conversations going on and too much confusuon. i do not want to be a member . No time to read all the material that comes with Facebook. i don't use my account. I don't use my face book anymore. i don;t use my facebook page at all. facebook is not good for everyone it exposes you alot. Idon't use my facebook page so i don't see the use of having it. Not wishing to continue on FB . This is turning into a place for arguments and lost friendships, all in text form. How cold. Delete my FB account. It won't work for me. Please delete it. PLEASE delete my freakin' account or I will sue you!!!!!! !